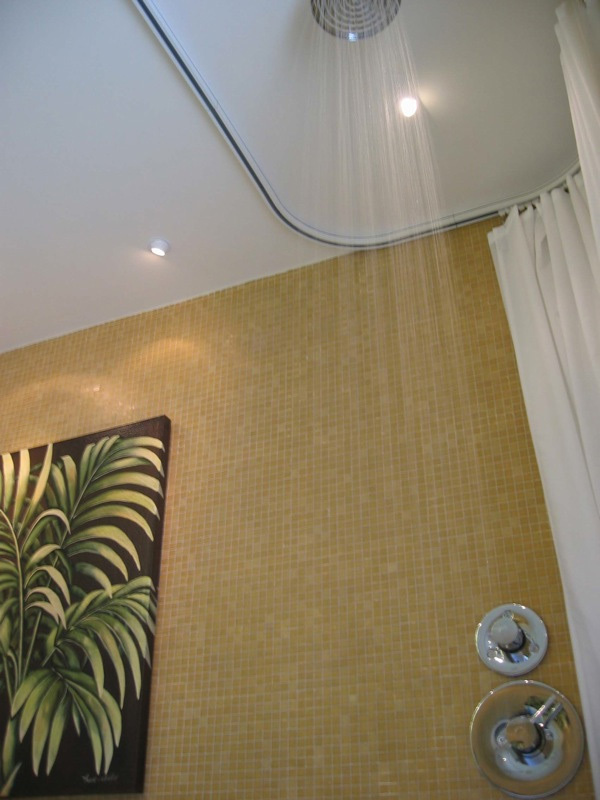 Shower Rods: Oval Ceiling Shower Rod, 60" x 36"
Oval ceiling shower rod 60" X 36"
This shower rod solution does not require ceiling supports and lets your curtain glide freely around the oval. 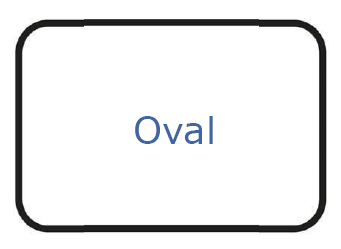 The Oval track follows the contour of your tub or shower preventing water leakage to the floor. The 36" X 60" track dimensions fit around a standard bathtub, extending the long sides slightly beyond the tub. 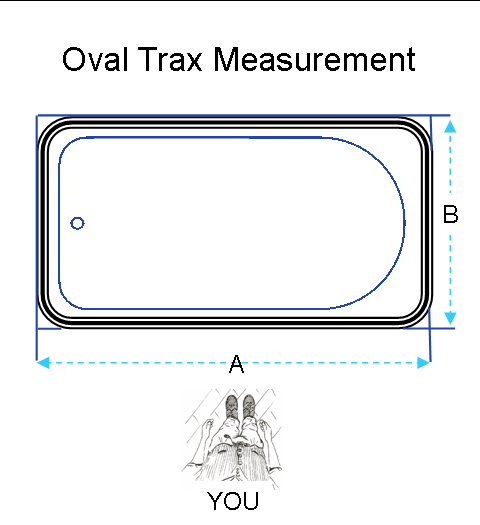 Oval TRAX is actually a rectangle with four 90° corners, which feature fluid 12-inch radius curves to define the corners. The track is an extruded 1⅜" X ¾" aluminum alloy with either a brushed aluminum or white anodized paint finish. The rolling carriers are enclosed in the tracking and glide easily. 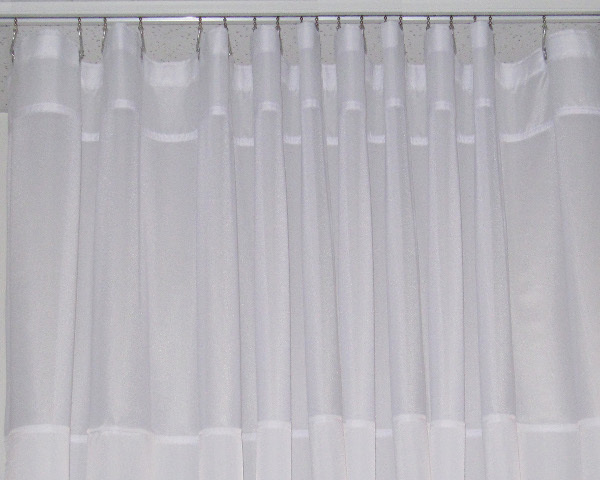 They are constructed of nylon bodies, formed nickel plated steel swivels, and steel bead chain with hardened aluminum hooks for curtain attachment. 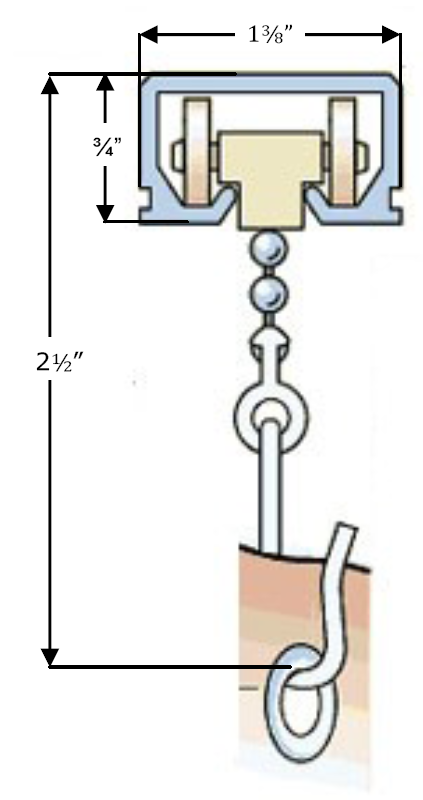 The rod is designed for surface mounting, but can be recessed in new construction. This product does not work with sloped ceilings. The track can be trimmed with a hacksaw if needed. 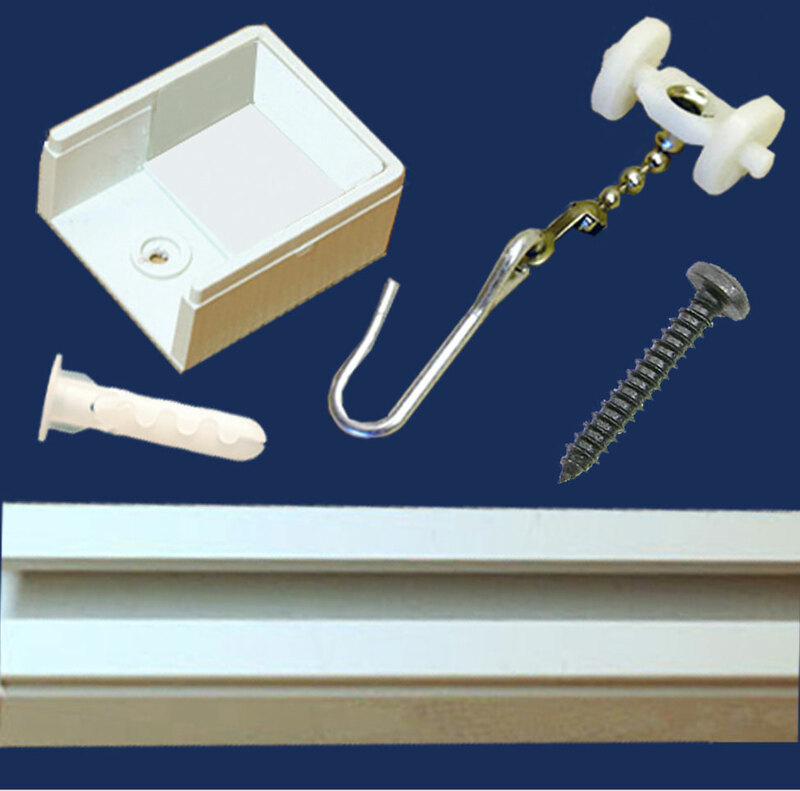 Oval TRAX comes with easy-to-follow instructions, drywall anchors, screws and removable wheeled hooks. 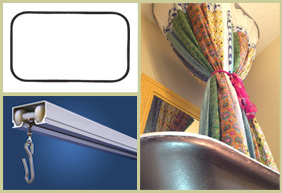 Purchase your Oval TRAX shower rod today.